Wat is dit voor site? Wij zoeken de goedkoopste boeken op internet. 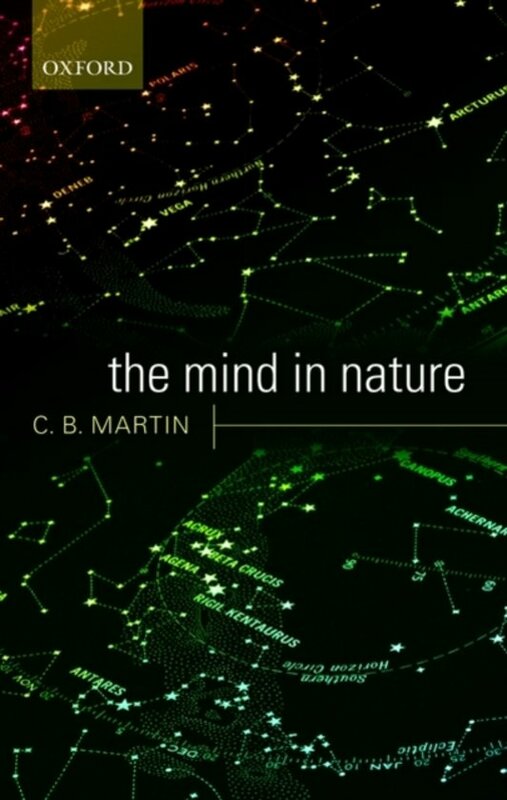 The Mind in Naturevonden we het goedkoopst op Bol.com voor €32.50. We hebben gezocht in nieuwe en tweedehands boeken. Rechtsonderaan de pagina kan je het boek direct bestellen	via Bol	.com. What are the most fundamental features of the world? Do minds stand outside the natural order? Is a unified picture of mental and physical reality possible? The Mind in Nature provides a staunchly realist account of the world as a unified system incorporating both the mental and the physical. C. B. Martin, an original and influential exponent of 'ontologically serious' metaphysics, echoes Locke's dictum that 'all things that exist are only particulars', and argues that properties are powerful qualities. He also spells out the implications of this view for philosophical conceptions of causation, intentionality, consciousness, and the mind-body problem. Martin emphasizes the importance of non-conscious 'vegetative' systems, which provide clear examples of intentionality in the form of representational use. The slide from representational use to consciousness involves a change in the material of use, but not the form of representation. A concluding chapter provides an argument for the view that an ontology of particular substances and properties leads ineluctably to monism: the bus we board with Locke takes us directly to the world of Spinoza and Einstein. Along the way, we are led to understand the nature of minds and conscious states of mind in a way that avoids both reductionism (the idea that mental is reducible to the non-mental) and dualism (the idea that mental substances or properties differ dramatically from physical substances and properties).